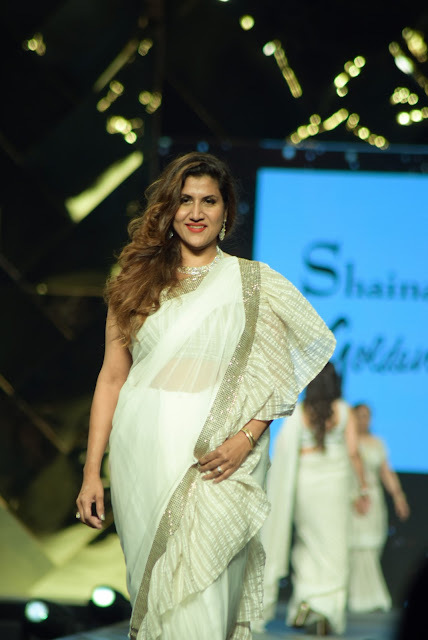 Dr. Nivedita Shreyans Educationist and meditation and wellness expert walked the ramp for Shaina NC in aid of Cancer association . She dazzled the ramp in black and red combination saree . The walk was to support the cause and in aid of cancer association . 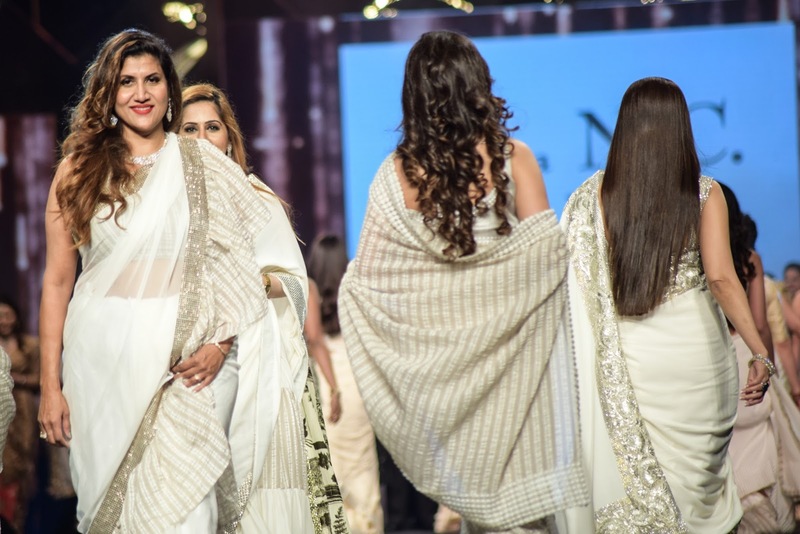 Nivedita said " it as honour to do a little bit in our own way to bring awareness , Shaina is doing lovely work for the well being of our society & I m glad I could contribute "